When I was a young account executive with Merrill Lynch in the mid-1970s, I became friendly with the top producer in our office. One day he shared with me one of the secrets of his success – he would only promote stocks when a certain percentage of Dow Jones Industrial stocks were above their 39-week moving averages. Few investors knew much about moving averages back then, and there were no PCs for calculating them. So I dug up all the old stock charts I could find with moving averages on them and verified that this moving average filter was useful. Not long after that, I was accepted into the PhD programs at both the University of Chicago and Wharton. I turned them both down based in part on the how well this moving average method had done. 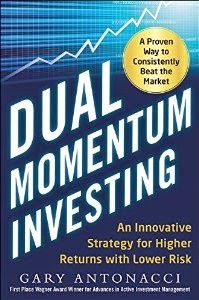 (I was also impressed with Bob Levy's research on relative strength momentum and the Nick Darvas book describing his remarkable success using momentum.) The efficient market hypothesis, which said the market could not be beat using publicly available information, was akin to religion in the academic world at that time. I had frightening visions of being burned at the stake in the University of Chicago quadrangle. Things have certainly changed since then. During the past 20 years, academics have found strong evidence of profitability from trend following methods. Behavioral finance opened the door to serious trend following and momentum research by the academic community. A large body of research now shows that price trends exist in part due to long-standing behavioral biases by investors, such as anchoring and hoarding. 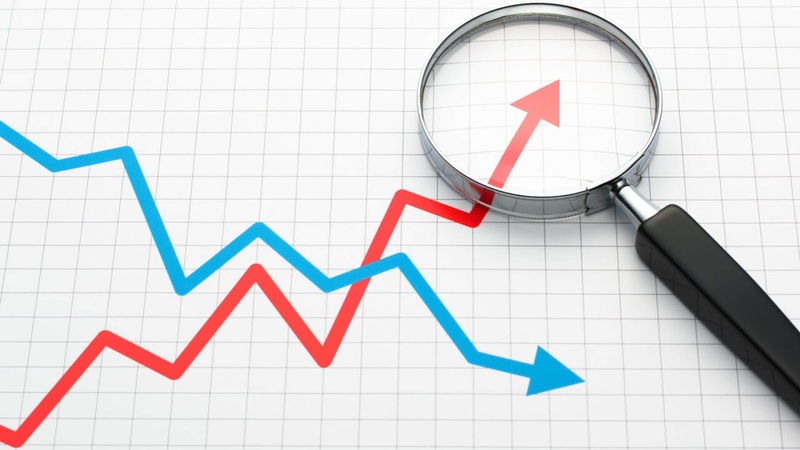 Price trends are created when investors initially underreact and subsequently overreact to information because of strongly ingrained behavioral tendencies. The first paper deals with moving averages applied to U.S. stocks. The second is a white paper from the folks at AQR. 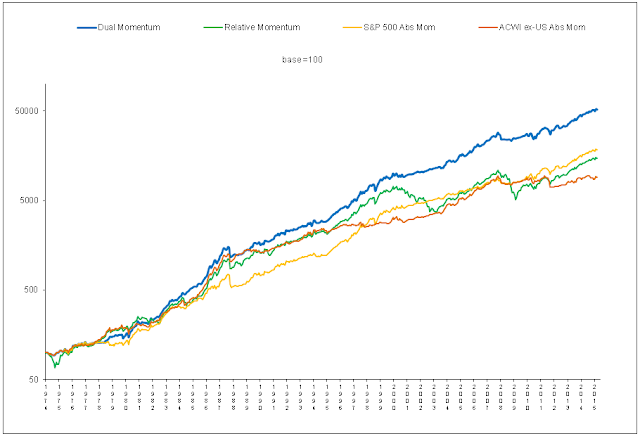 It features time series (absolute) momentum applied to 59 markets in 4 asset classes: equity indices, bonds, commodities, and currency pairs. The authors use a weighted combination of 1, 3, and 12 month look back periods on data back to 1903. Their paper provides convincing evidence that trend following absolute momentum is just as robust and pervasive as cross-sectional or relative strength price momentum. The expanded version of my paper, Risk Premia Harvesting Through Dual Momentum, shows that trend following absolute momentum is actually more valuable than relative strength momentum. Both enhance returns, but absolute momentum is more effective in reducing expected volatility and drawdown. The best of all worlds is to use them both together.